Celebrate Mother's Day With A Giveaway EVERYDAY! Celebrate Mother’s Day With A Giveaway EVERYDAY (until the 22nd) with Woman Within! This Mother’s Day celebrate the mom in your life with a giveaway everyday until May 22, 2018 with the help of plus size retailer, Woman Within and their newest campaign! Read on for more details and how to enter. So how are you celebrating the mom in your life this year? Mother’s Day is here! Well, not today, obviously. But this Sunday is the day that we celebrate the mama’s of the world and let them know just how much they are loved! Are you a mom, a mom to be, a new mom or even a pet mom? Well, then you need to check out the newest campaign from plus size retailer, Woman Within! It is sooooo cute! This Mother’s Day, Woman Within wants to REALLY celebrate and they’re doing a DAILY giveaway of $100 to celebrate the moms in your life. Yes, you read that correct–this is not just one giveaway. They are giving away $100 every. single. day until May 22, 2018. Right, so basically they’re Oprah this Mother’s Day. If you do not know, Woman Within is an apparel company that focuses on size inclusivity for women. 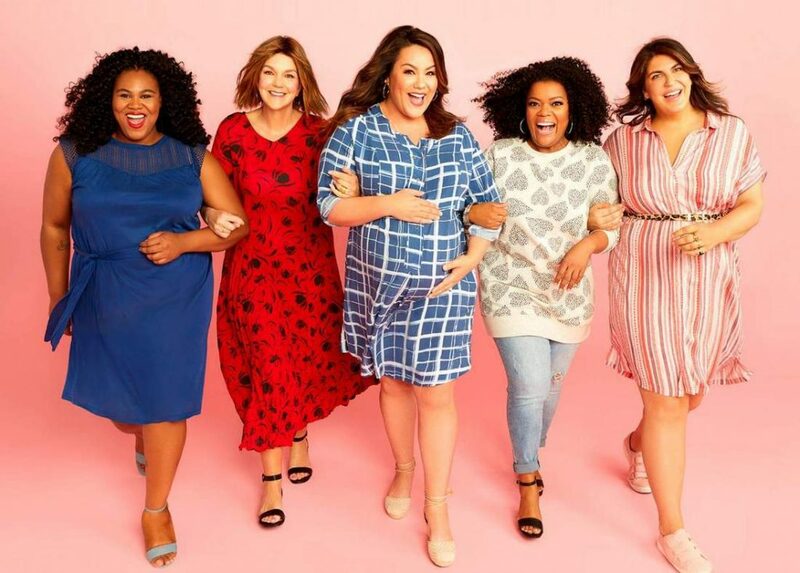 On May 8th, they launched their Mother’s Day campaign that features Katy Mixon from American Housewife and Yvette Nicole Brown from Community! 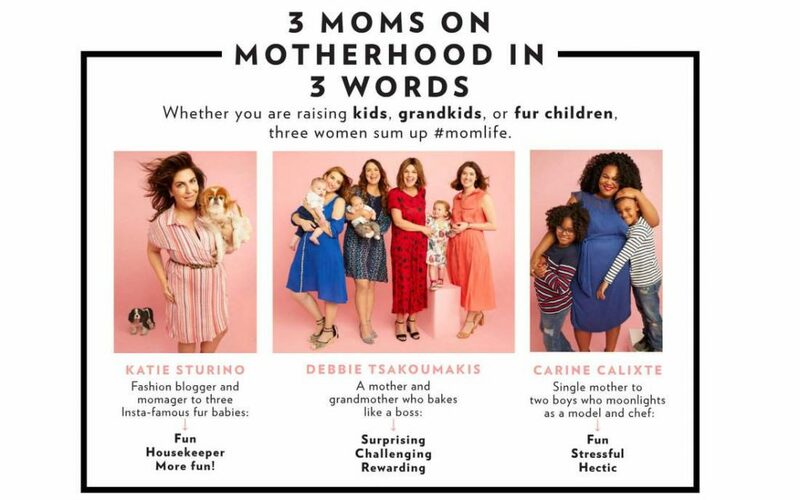 This campaign is honoring all the moms in the world–single moms, grand-moms, dog moms, and more! Ok, But How Do I Enter The Giveaway? You better come through with these good questions!!! You’ll need to sign up on their Facebook Page and share your best mother-daughter experience. So head on over there and tell them about how your mom gave you the best fashion advice that you didn’t listen to until you were 27 or share your favorite experience in becoming a new mom. The opportunities are endless! Every day, a new winner will be chosen from now until May 22nd! 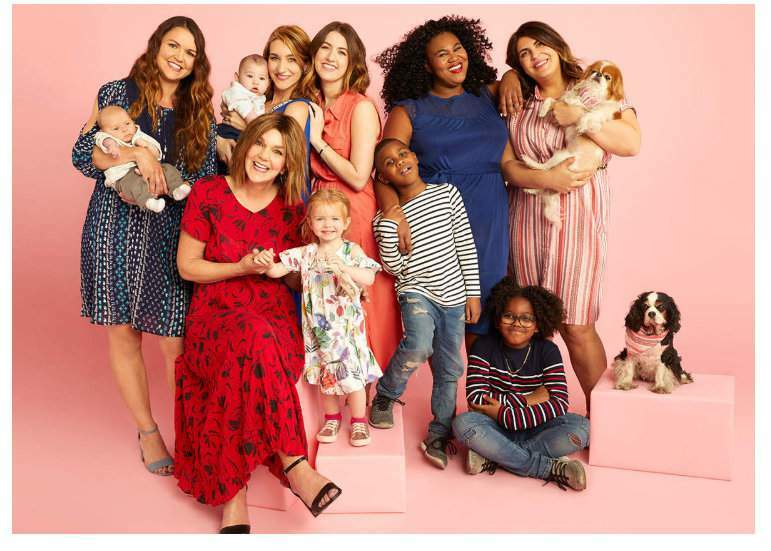 But while we have you, peep this quick little video from the campaign from the Woman Within Mom Squad as they answer How They’re Like Their Own Moms! Which makes me think about how I am like my mother… I will get back to you on this one! A lot, actually… but since we’re talking about Woman Within and Mother’s Day and how I would treat myself? Let me share a few finds… When I decided on the boho-chic look for the summer, I had no idea that it would be so popular! Well, kudos to me for being so fashion forward, ha! But I’m loving this vest duster-tres chic, oui? This jumpsuit is perfect for the nursing moms out there! Whenever I’m rocking a jumpsuit, I have to make sure that there’s easy access for my son, because this is something MANY new moms deal with, am I right? Hurry over to the Woman’s Within Facebook Page and enter today! You can learn more about this campaign, the brand, and shop one of our favorite brands over there, ellos, by heading on over to womanwithin.com! Did you hear? Get Your Tickets to the TCFStyle Expo NOW! Savage x Fenty Dropped and We Peep the Plus Size Pieces! One dope woman/mom/wife/entrepreneur learning to conquer the world one cute outfit at a time. And the WINNER of the Jessica London Bomber Jacket is…!